Stocksy takes a different approach than your average, run-of-the-mill stock photo agency. You see, if you wanted to become a photographer, you might be stuck wondering who would buy your photos. With the advent of the Internet, it became clear that stock photo agencies were more than willing – and still are – to buy up as many of these photos as they could. Most of them offer a competitive compensation plan. If you take good pictures, and people buy your photo from the stock agency, you would get a commission. The law of averages says the more photos you submit, the higher chance of you actually deriving an income based off that commission alone. The more agencies you sign up with merely increase your chance of stock photo customers choosing your work. It’s easy, right? Not so fast, says I. Stocksy’s approach to curated quality is different. 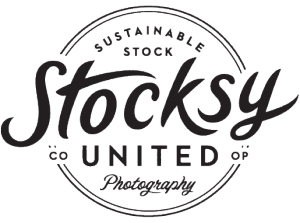 You have to pass certain prerequisites to be considered as a photographer for Stocksy. Stocksy has a smaller library organized into special themes. When you browse through their library, you’ll be impressed with the quality of their photos. All of a sudden, Stocksy’s discriminatory policy makes sense. Discriminatory, in this case, merely means that they will not take photos from just anybody. Each photo in their library can be many times more expensive than some your cheaper options like Photospin or DepositPhotos. What you get in return, however, is a photo that looks like it was taken in an expensive photo shoot. That’s the other thing about stock photos. Too many artists – when you say the phrase, “stock photos,” they cringe. Many people see stock photos as a cheap alternative for people who are unwilling to pay a fair wage to aspiring photographers. To an extent, they have a point. Professional photo shoots can be very expensive. Stocksy’s photo library isn’t quite as expensive as a professional photo shoot. They are more expensive than your average stock photo, but then again, they only choose the best photos.